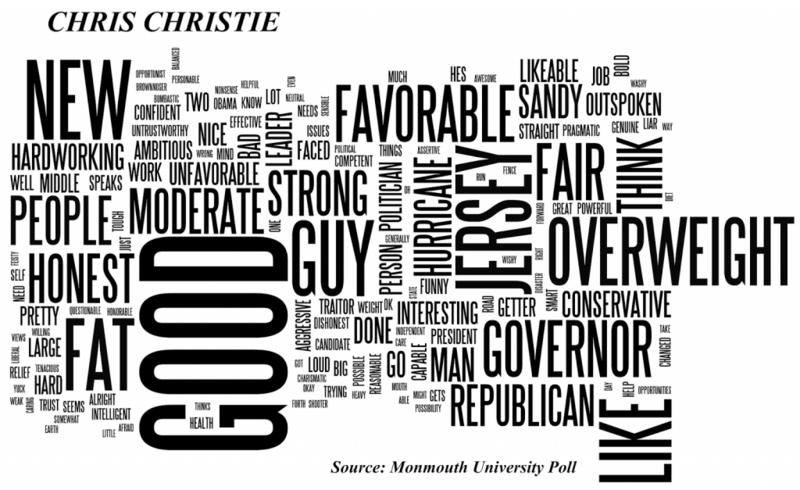 Monday, Aug. 5, 2013 at 12:30 a.m.
A Monmouth University Poll, released on August 5, 2013, asked American voters to say the first word or phrase that came to mind when they heard the names of five potential candidates for president in 2016 — Hillary Clinton, Joe Biden, Chris Christie, Jeb Bush, and Marco Rubio. 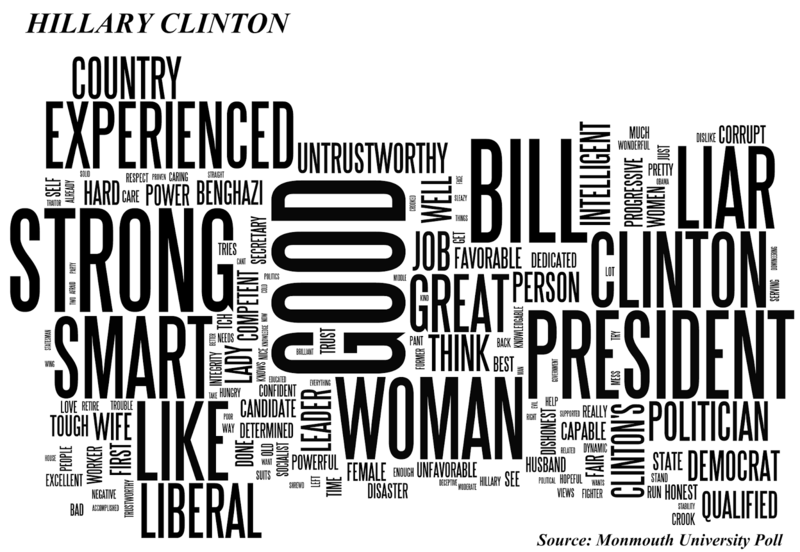 The following word clouds (courtesy Wordle) were generated from those responses. The full poll report with the data for these questions can be found here. 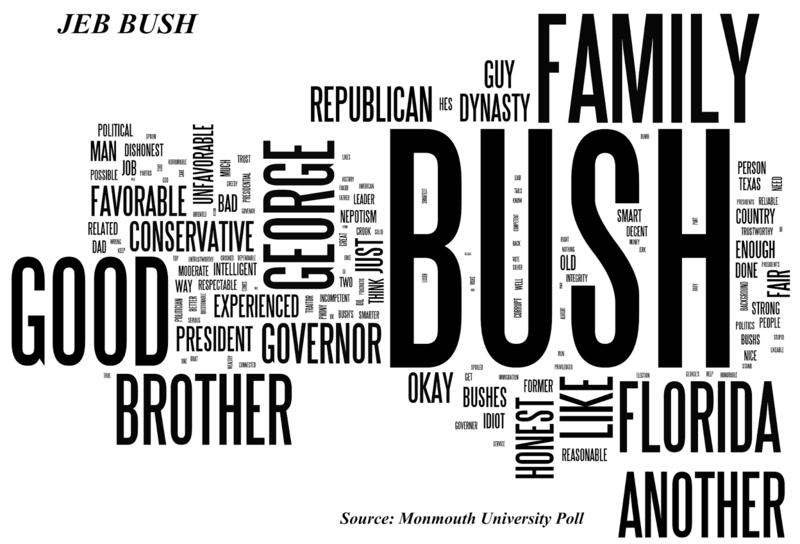 Pretty cool word clouds. 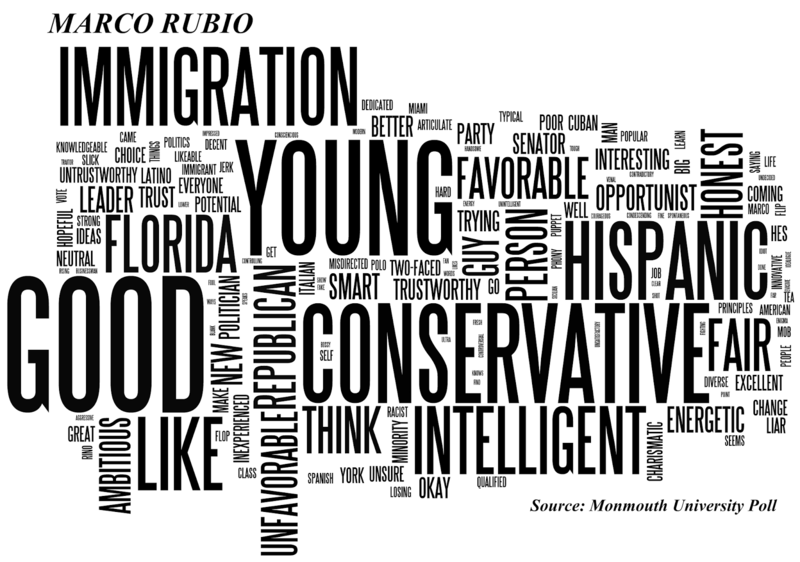 Love the Rubio one. 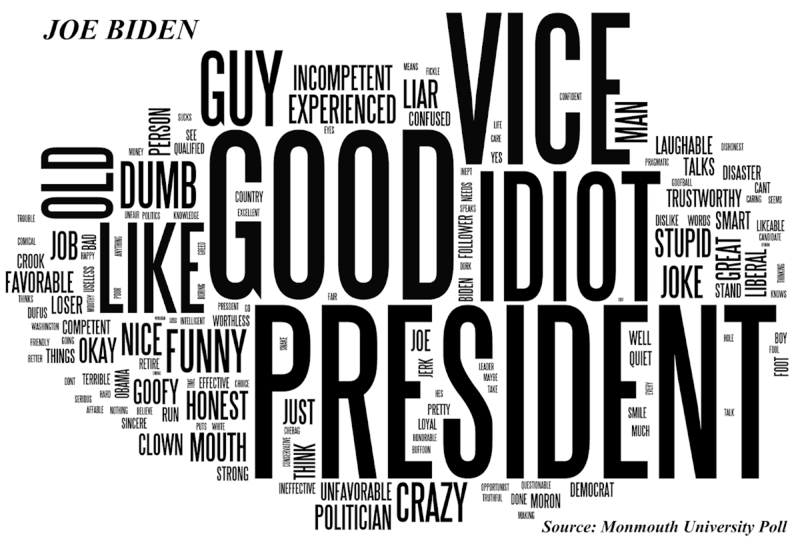 Laughed like crazy at the Biden one.